Kelsey Marlow glances at the umpire. MACOMB, Il. 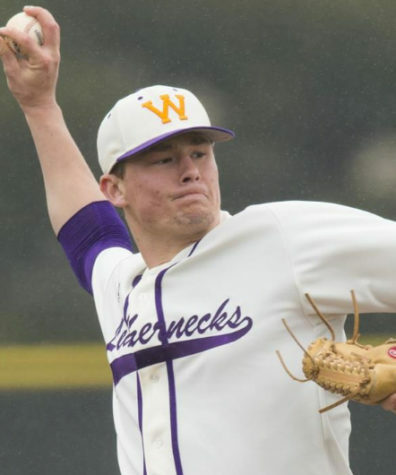 — The Western Illinois University Leathernecks (10-22) will face off against the University of Fort Wayne Mastodons (14-20) this upcoming weekend. Both teams are off to a rocky start with losing records. However, conference play is just beginning to start, and this offers a glimmer of hope for both teams. The series will kick off this Friday, as the Leathernecks will look to stay atop the conference ranks with a perfect 3-0 record in conference play. However, they will be playing against a hungry Mastodon team looking for their first conference victory. This will mark the second conference matchup for Western Illinois, and it will be the first conference series for Fort Wayne. The Leathernecks are coming off a three-game series sweep against the University of South Dakota. 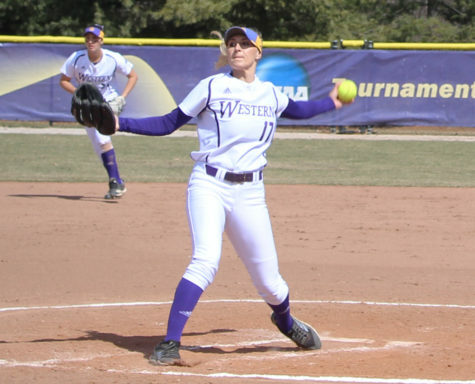 Western can thank their bats for coming alive in their first conference series. The team scored five, seven and 20 runs respectively in their three games. They were led by the electric offense of Ashley Minyard and Kelsey Marlow. The two capped off an incredible series going off a combined seven of 12 with five RBIs in the series finale against the Coyotes. The Mastodons are coming off a two-game series sweep against the university of Northern Kentucky. The offense was on a roll for Fort Wayne in the series scoring three runs in the first contest and 11 in the series finale. 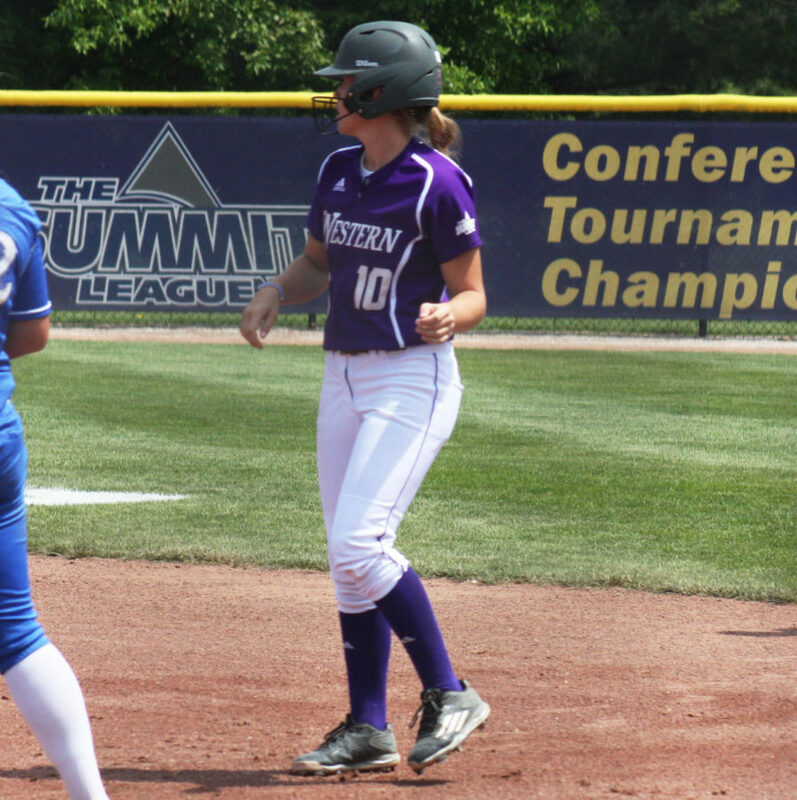 The bats of Demitra Burns and Courtney Holm led them. The two combined to go 5-6 with two RBIs in the team’s first victory of the series. In the finale, the team blew by the Norse scoring eleven runs to cap off an impressive 11-6 victory. Both teams hope to keep their bats alive in the upcoming series. However, the conference showdown will come down to pitching. 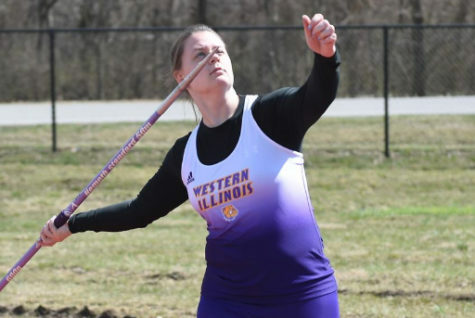 The Leathernecks should have the upper hand in this category because of their ace, Emily Ira. Ira has been superb for the Purple and Gold this season. On the season, she has a record of 4-7 and has posted an ERA of 3.93. Whenever she is on the mound, it almost certainly seems like something spectacular is going to happen. Earlier in the season, she nearly had a perfect game, and when playing elite programs, she always seems to keep them in the game. For the Mastodons, Bailey Benefiel leads their pitching staff. Benefiel has a record of 9-6 and has posted an impressive 2.85 ERA. It will be a pitching dual this weekend, and whichever team has the best performance will walk away with the series victory.